Students in 71A Science have produced amazing work for the Cells topic. They have dissected a chicken wing to find out more about how cells become tissues and work together, and have investigated diffusion using Skittles. Students have put a jaw-dropping amount of effort into their homework to make a model of a cell. 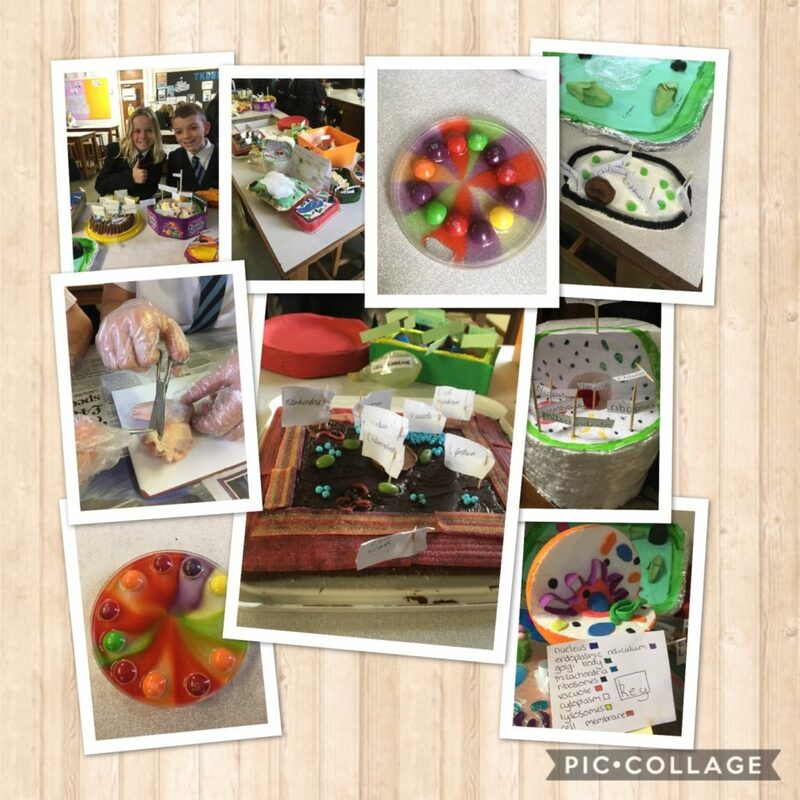 A fantastic variety of models were brought to class, including a fantastic plant cell cushion, 3 scrumptious cakes, red blood cell cookies that were eaten and enjoyed by all and some thoroughly well–labelled and researched models. Well-done 71A. Mrs Bray.